Staging your home for potential buyers can be quite the hassle. You may start moving your furniture around spontaneously, or become tense when your children or spouse make messes in a room that you just prepped for show. With all of the planning that one can put into making their home shine, one crucial step in home staging is often overlooked: your family pet. For the sake of simplicity, I will outline a few things that you must keep in mind when cleaning up after your pet in a home for sale. Pet presence - For obvious reasons, some pets can't leave the house. Giant enclosures, aquariums, and disabled pets are hard to relocate sometimes, and a lot of people will be understanding of this. But if your dog or cat is healthy, then you'll want to strongly consider relocating your pets temporarily. Many people aren't pet owners, and don't like being around an excitable golden retriever or a yippy chihuahua when they are trying to imagine their family occupying your home. Remember....You are trying to make the potential buyer as relaxed as possible. Ask a friend if they wouldn't mind looking after your loved one for a bit, and if all else fails, look into a reputable boarding service for your pet. Fur - Fur can get everywhere. Even in places that you, as a resident of your home, don't necessarily notice all of the time. Be sure to give your couches, chairs, and love seats proper attention. That means taking the pillows and cushions off, and using a hand vacuum or brush to remove all of the fur you see. After you are sure that they are thoroughly cleaned, use a fabric freshener to finish it off. Try to do this well in advance of the potential buyer, as some people have sensitivities to fabric fresheners. Litter - No matter what kind of animal you have, odds are you have do deal with some form of waste. It may sound pretty obvious, but make sure your litter beds are clean and well hidden. Even if you own an exotic pet like a reptile of amphibian, this includes you too. Many people don't like snakes, but they'll like a messy snake cage even less. Another important thing to remember as an exotic pet owner is this: even though you may not be able to smell anything offensive coming from your reptile's cage, that doesn't mean that there isn't an odor. Many people who live with reptiles get used to the subtle odors that emit from the cages, and will tend to spot-clean their animal's cage without giving it the proper scrub-down that it needs. Odors - Don't use air fresheners to mask pet odor. It is meant to freshen the air...Not cover pet odors up. Instead, use powdered cleaners on carpets and rugs that your pets frequent. These can be purchased at your local pet store in the cleaning isle. 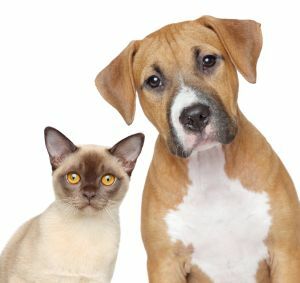 Odds are, if someone has a severe allergy to animals, then they are going to be at risk of having a reaction. The cleaner the house, the less dander will be in the home.